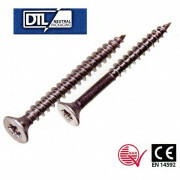 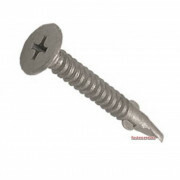 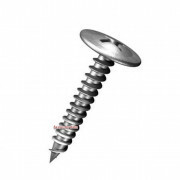 Chipboard screws sometimes called Particle Board screws have a single thread and a thin shank that provides better resistance to pull-out in particle board, but has a lower shear strength. 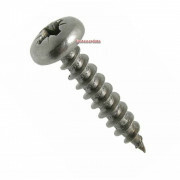 The threads on particle board screws lack height symmetry. 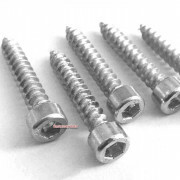 Chipboard screws are preferred for their greater efficiency, and haves gained popularity because of the wide use of battery operated drivers and the requirement to insert screws without first drilling a hole.